Sage have just updated their pricing on Sage ERP MAS 200 SQL user licenses. Initially they had indicated that whether MAS 200 was used on a Providex or SQL database the per user pricing would be identical. That pricing information is now updated to reflect that Sage EPR MAS 200 SQL user licenses will have an additional $350 per user price (plus maintenance) which goes into effect 12/1/11. Also on December 1, 2011 to get the scalability, flexibility, integration, and reporting of SQL Server that Sage ERP MAS 200 SQL offers, installed base customers who wish to migrate to the SQL product will “pay the difference” of $350 per user. 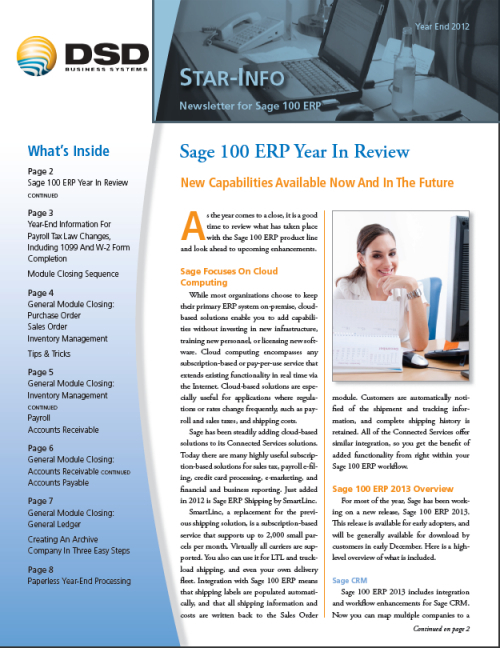 With 4.5, Sage ERP MAS 200 SQL customers will receive one free SageCRM 7.1 user and server license when they upgrade. And, customers who have not previously received a free Sage ERP MAS Intelligence Report Manager license will receive one compatible with Sage ERP MAS 200 SQL 4.5, which includes Reporting Tree capabilities and enhanced report distribution.